Is it a milkshake? Is it the same as a frappuccino? Does it even have coffee? As per usual, the world of coffee can hard to navigate. And with a drink as versatile and variant as the frappé, it can be difficult to decipher what exactly the drink is. We here at Roasty are here to answer all of your questions about the elusive frappé. Originating in the 19th century, this drink has some of the widest variations you can find as far as how it’s made. However, the original drink was created on accident at the International Trade Fair in 1957. Credit goes to Dimitris Vakondios, a Nestlé employee inspired by the new chocolate beverage being sold to children. The beverage involved using a shaker with ice to create a semi-frozen drink. Vakondios applied this technique using his instant coffee, using cold water, instant, and the shaker to create what is now the Greek frappé. After Vakondios’ discovery, the frappé became wildly popular across Greece and became the national coffee beverage of the country in 1979. Eventually tourists encountered the drinks and variations sprung up around the globe. There is no set way to prepare a frappé and most recipes give measurements in relational parts rather than specific amounts. That said, we’ll give you the basic guidelines from which to start your frappé adventures. But feel free to adjust the recipe as you see fit because the simplicity of this drink lends itself to experimentation. Start by putting about 2 teaspoons of instant coffee, 2 teaspoons of granulated sugar, and about 1/4 cup of water. Shake this for about 10 seconds until you get a light brown foam on top. Pour this mix over ice and add milk if desired. Add more water until the beverage reaches a consistency you’re happy with. And enjoy! The traditional version of the frappé is served in one of three manners, varying in their level of sweetness: glykós (sweet), métrios (medium), or skétos (plain). Each of these contains 2 teaspoons of instant coffee, but they contain 4, 2, and 0 teaspoons of sugar respectively. Sometimes milk or evaporated milk is added to the base frappé. The resulting variant is called a frapógalo. Alternatively, the milk component may completely replace the water component. Occasionally, chocolate milk is even used to introduce an interesting new flavor to the mix. We explained how to make the traditional version of this drink earlier. However, many shops outside of Greece prefer a stronger version of the drink, made with espresso instead of instant. In the “modern” version, two shots of espresso and some white sugar are added to the shaker. The shaker should be about 2/3 full of ice. This concoction is then vigorously shaken until the distinctive foam forms on top, which you’ll see as it’s poured directly into your glass. Aside from milk, as we covered earlier, several variations on this drink involve replacing the water with a different wet ingredient. In Bulgaria, it is popular to use Coca-Cola instead, and in Serbia you might see people making it with ice cream. Sometimes, when people are really looking for an extra kick, they’ll use coffee liqueurs, like Kahlua. Yes, this is a different drink. Pronounced “frap” instead of “frap-pay” like the drink we covered earlier, this beverage is closer in likeness to a milkshake. In the New England region, a milkshake does not include icecream. Instead, when the sweet creamy dessert is added, you have created a frappe. This drink originated in Boston and doesn’t even necessarily include coffee. However, the Rhode Island version of the drink (called a “cabinet”) does typically include coffee. The frappuccino is a mix of the Boston frappe and the classic cappuccino, meaning it has next to nothing in common with the Grecian frappé. This drink is now owned and sold by Starbucks, but it was originally owned by The Coffee Connection. The modern recipe involves a mixture of espresso, ice, milk, sugar, flavored syrups, and whipped cream. There you have it; the frappé is a versatile drink that lends itself well to tinkering and experimentation. 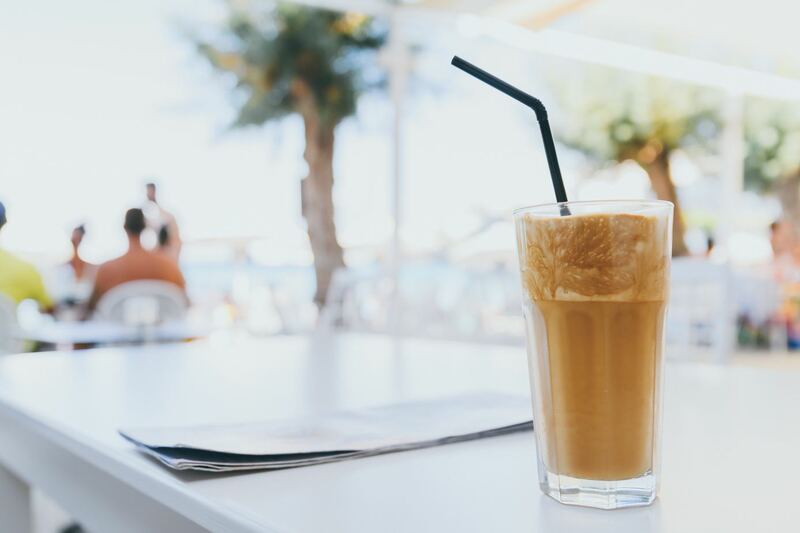 So if you’re looking for the perfect, easy summer drink that you can tailor to your personal tastes, the traditional or modern Grecian frappé might be for you. 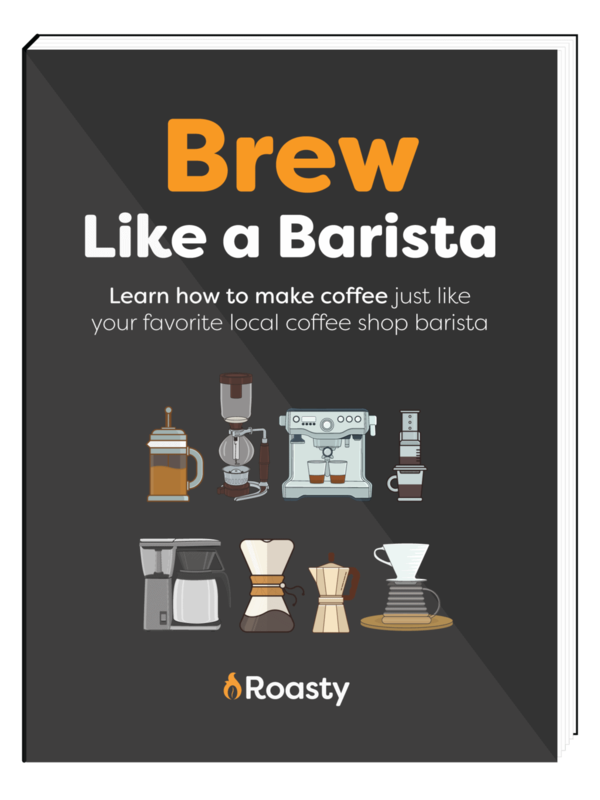 If you ever get bored with your go to recipe, you can always mix things up with espresso, milk, or even Coca-Cola.